Done-On SR 529 northbound & southbound at Snohomish River Bridge all lanes closed tonight at 10:46 PM for boat traffic. On SR 529 northbound & southbound at Snohomish River Bridge all lanes closed tonight at 10:46 PM for boat traffic. 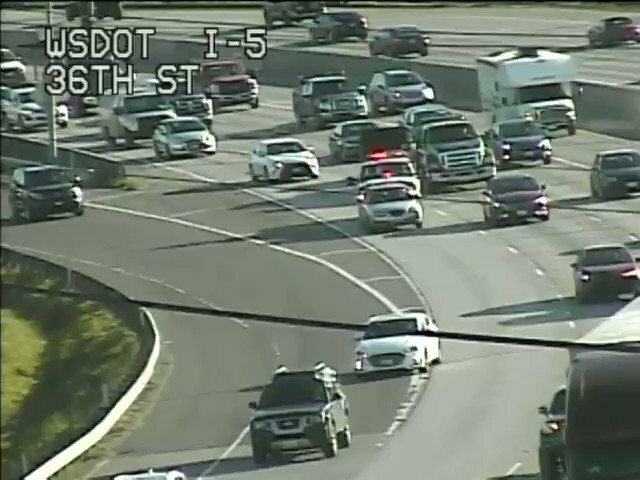 On the I-5 northbound on-ramp from S 272nd St there is a collision blocking the ramp. Done-On SR 99 northbound & southbound at 1st Ave S Bridge all lanes closed tonight at 6:55 PM for boat traffic. On SR 99 northbound & southbound at 1st Ave S Bridge all lanes closed tonight at 6:55 PM for boat traffic. On SR 99 northbound & southbound at 1st Ave S Bridge all lanes closed tonight at 6:54 PM for boat traffic. @srdelap That's still a few years away. 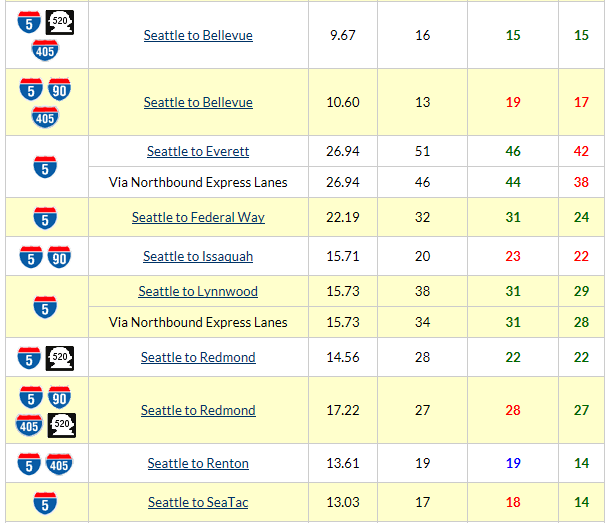 We have a lot of work to do on NB I-5 to prepare for that. Update 6:08 PM : On I-405 northbound at NE 195th St there is an incident blocking the right lane. Please note by clicking on "Post" you acknowledge that you have read the Terms of Service and the Olympia, WA report and/or forecast you are posting is in compliance with such terms. Be respectful. An inappropriate Olympia, WA report and/or forecast will be removed by a moderator. Olympia, WA traffic updates, highway and road conditions with live interactive map including flow, delays, accidents, construction, closures and driving conditions for the Olympia area and Thurston county.